Anthony García does not have any MLB stats for the season. Draft: 2009, St. Louis Cardinals, 18th rd. Graduated from San Juan Educational School in Puerto Rico...Was drafted as a catcher and played the position for three years before being moved to the outfield. Signed with the Oakland Athletics to a minor league contract in early January, Garcia spent all of 2018 with triple-A Nashville, hitting .254 with 25 home runs and 91 RBI in 131 games..Among Pacific Coast League leaders he ranked fourth in extra-base hits (57) and fifth in home runs (25)...Won the 2018 MVP of the Caribbean World Series after hitting .500/.556/1.042 with three homers, eight runs scored and eight RBI in six games. Began the season at Triple-A Memphis and hit .179 in 14 games before he was transferred to Double-A Springfield April 28…batted .294 at Double-A and combined with both clubs for a .282 batting average, 16 home runs and 72 RBI in 115 games…had career highs in stolen bases (9) and games played…was named to the Texas League Midseason and Postseason All-Star Teams after ranking third in the League in slugging (.487), fourth in home runs per at bat (23.13) and seventh in batting (.294)…hit .366 (37-for-101) against left-handed pitching compared to .253 (72-for285) against right-handers…batted .300 with runners in scoring position…12 of his 16 home runs came with runners on base…connected for 11 of his 15 home runs with Springfield at home…hit .306 at night, .190 during the day…had a .229 batting average when leading off an inning but his on-base percentage was .333…went 1-for-25 (.040) in the ninth inning…appeared in 53 games in the left field, 24 in right field and one in center field…committed two errors in 76 games overall in the outfield (.983 fielding percentage)…also hit .304 in 32 games as the designated hitter and was 1-for-6 (.167) with a walk and two strikeouts as a pinch hitter…hit in every spot in the order except leadoff and saw his most action with 42 games in the five spot and 29 hitting cleanup… played for Caracas in the Venezuelan Winter League following the season and hit .247 with four home runs and 13 RBI in 23 games. MINORS: Went 3-for-13 (.231) over his first four games with Memphis but then went 0-for-17 over a six-game stretch from April 11 to 19…was outrighted off the 40-man roster April 24 and was hitting .179 in 14 games when he was sent down to Springfield April 28…had an 18-game hitting streak from May 7 to 27 (25-for-66, .379), which was fifth longest in the TL…drove in a season-high four runs May 15 against Tulsa (also June 17 against Arkansas, July 4 at Frisco and July 8 against Frisco)…was named TL Batter of the Week for the week of May 15-21…went 9-for23 (.391) with six runs scored, four doubles, two home runs and 10 RBI…was a perfect 4-for-4 in the first game of a May 24 doubleheader at Corpus Christi to boost his Double-A batting average to .386…then went 14-for-66 (.212) over his next 20 games through June 15 to fall to .309…finished May with a .350 batting average and 21 RBI in 27 games…had his first of two two-homer games June 17 against Arkansas…homered the next day against Tulsa, giving him three home runs and seven RBI over a two-game stretch…played for the North All-Stars in the Texas League All-Star Game June 27 at Frisco and went 0-for-1 with a strikeout as a defensive replacement in left field…went 1-for-5 with a season-high four strikeouts June 29 at Midland…hit .276 with six home runs and 19 RBI over a 17-game stretch from June 30 to July 18…was 3-for-4 with a grand slam and four RBI July 4 at Frisco…connected for his second two-homer game of the season July 8 against Frisco…hit his 16th and final home run of the season in his 81st game July 18 against Northwest Arkansas…finished the year with a 34-game homerless streak…committed his first error of the season Aug. 2 at Tulsa, snapping a season-opening 64-game errorless streak as an outfielder…hit .391 in 19 games in August. Began the season at Springfield (AA) before a promotion to Triple-A in August…Hit .354 (17-48) in June and .327 (17-52) in July, driving in 10 runs each month; hit .323 (21-65) in August with 15 RBI…Named the Cardinals Minor League Player of the Month for July compiling a .327 average, .426 on-base pct. and .888 OPS…Played in the Pan Am games in July representing his home country of Puerto Rico...batted .393 (11-28) and led the tournament field with five home runs, 17 RBI and a .964 slugging pct. over eight games while playing primarily right field…In the Pan Am games on 7/15 vs. Colombia, hit a grand slam in the 7th and a game-ending home run in the 9th to post a six RBI day…Had a 10-game hitting streak 6/27-7/25 surrounding his time at the Pan Am games, batting .474 (18-38) with 2 HR and 10 RBI…Reached base safely in 29 consecutive road games from 5/9 - 8/12…Hit .284 with runners in scoring position and 38 of his 54 RBI came during RISP situations…Promoted to Triple-A Memphis on 8/18, picking up a hit in six of his first seven games (8-30), while recording a hit in 11 of his 18 games played while reaching in 13…Played in five games (.250, HR, 3 RBI) for Carolina in his sixth straight season in the Puerto Rican Winter League. Spent his season at High-A Palm Beach where he played 100 games, mostly in left field and also serving as the DH... missed a month of action from 5/17-6/15 with an oblique strain...batted .277 with RISP with 86% of his RBI coming in those situations (38 of 44) and hit .318 when batting with RISP and two outs...played a fifth-straight season in the Puerto Rican Winter League for Gigantes de Carolina and was named League MVP after hitting .328 with 10 home runs and 34 RBI. Ranked T10th among Cardinals minor leaguers with 13 home runs...named Cardinals Minor League Player of the Month for June batting .385 (25-65) with 7 HR, 14 RBI and posting a 1.298 OPS, as 16 of his 25 hits were extra base hits...honored as Florida State League Player of the Week twice (6/3-10 & 6/24-7/1), one of two players in the FSL to win the award twice in 2013...spent time on the disabled list twice with a shoulder strain, including a single game on rehab with GCL Cardinals... played for Gigantes de Carolina of the Puerto Rican Winter League and was named Comeback Player of the Year, batting .305 (40-131) in 38 games. Ranked 2nd in the Midwest League with a career-high19 home runs...also ranked 2nd in slugging (.525), extra base hits (56) and 3rd in HR/AB (20.84)...his 34 doubles were T2nd among Cardinals minor leaguers and 19 HR were 3rd most...ran off a 16-game hitting streak (6/22-7/7), tied for the team best...was named Midwest League Player of the Week (6/18-24)...landed on the disabled list twice with a groin strain in May and a hamstring strain at the end of August to season's end... participated in the Puerto Rican Winter League, appearing in 34 games (.279). Ranked 2nd among Cardinals minor leaguers and 5th in the Appy League in on-base percentage (.407)...ranked 3rd among Cardinals minor leaguers with a .935 OPS and 6th in batting average (.308) and slugging percentage (.527)...played in seven games for his hometown Carolina in the Puerto Rican Winter League. Spent most of his season with the Gulf Coast League Cardinals before playing the final two games of his season at Johnson City (1-3) 8/30-31...transitioned to outfield after catching in his first pro-season, catching nine of 39 games played...batted .339 (19-56) with 4 home runs and 15 RBI in 18 July games for GCL, playing mostly right field. Caught 16 games for GCL Cardinals in his first professional season after signing in June. January 24, 2019 San Francisco Giants signed free agent OF Anthony Garcia to a minor league contract and invited him to spring training. January 24, 2019 OF Anthony Garcia assigned to Sacramento River Cats. November 15, 2018 OF Anthony Garcia assigned to Gigantes de Carolina. November 15, 2018 Gigantes de Carolina placed OF Anthony Garcia on the reserve list. November 15, 2018 Gigantes de Carolina activated OF Anthony Garcia. November 2, 2018 RF Anthony Garcia elected free agency. 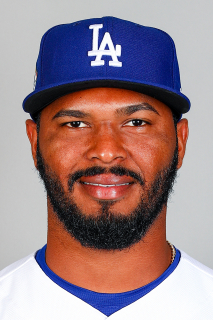 October 12, 2018 OF Anthony Garcia assigned to Leones del Caracas. March 31, 2018 Anthony Garcia assigned to Nashville Sounds. January 29, 2018 OF Anthony Garcia assigned to Puerto Rico. January 25, 2018 OF Anthony Garcia assigned to Criollos de Caguas. January 10, 2018 Oakland Athletics signed free agent OF Anthony Garcia to a minor league contract and invited him to spring training. January 5, 2018 OF Anthony Garcia assigned to Gigantes de Carolina. November 17, 2017 Oakland Athletics signed free agent OF Anthony Garcia to a minor league contract. November 15, 2017 OF Anthony Garcia assigned to Leones del Caracas. November 6, 2017 LF Anthony Garcia elected free agency. April 28, 2017 LF Anthony Garcia assigned to Springfield Cardinals from Memphis Redbirds. April 24, 2017 St. Louis Cardinals sent LF Anthony Garcia outright to Memphis Redbirds. March 19, 2017 St. Louis Cardinals optioned LF Anthony Garcia to Memphis Redbirds. October 14, 2016 OF Anthony Garcia assigned to Gigantes de Carolina. October 3, 2016 St. Louis Cardinals recalled Anthony Garcia from Memphis Redbirds. August 23, 2016 Memphis Redbirds activated LF Anthony Garcia from the 7-day disabled list. August 16, 2016 Memphis Redbirds placed LF Anthony Garcia on the 7-day disabled list retroactive to August 15, 2016. July 19, 2016 LF Anthony Garcia assigned to Memphis Redbirds from Springfield Cardinals. June 13, 2016 Springfield Cardinals activated LF Anthony Garcia from the temporarily inactive list. June 6, 2016 Springfield Cardinals placed LF Anthony Garcia on the temporarily inactive list. May 27, 2016 LF Anthony Garcia assigned to Springfield Cardinals from Memphis Redbirds. March 20, 2016 St. Louis Cardinals optioned LF Anthony Garcia to Memphis Redbirds. December 31, 2015 OF Anthony Garcia assigned to Indios de Mayaguez. November 5, 2015 St. Louis Cardinals selected the contract of Anthony Garcia from Memphis Redbirds. October 29, 2015 LF Anthony Garcia assigned to Gigantes de Carolina. October 29, 2015 Gigantes de Carolina activated OF Anthony Garcia. October 29, 2015 OF Anthony Garcia roster status changed by Gigantes de Carolina. August 18, 2015 LF Anthony Garcia assigned to Memphis Redbirds from Springfield Cardinals. July 21, 2015 Springfield Cardinals activated LF Anthony Garcia from the temporarily inactive list. July 5, 2015 Springfield Cardinals placed LF Anthony Garcia on the temporarily inactive list. April 8, 2015 LF Anthony Garcia assigned to Springfield Cardinals from Memphis Redbirds. April 2, 2015 LF Anthony Garcia assigned to Memphis Redbirds from Palm Beach Cardinals. January 30, 2015 OF Anthony Garcia assigned to Puerto Rico. January 20, 2015 OF Anthony Garcia assigned to Cangrejeros de Santurce. October 30, 2014 OF Anthony Garcia assigned to Gigantes de Carolina. October 30, 2014 OF Anthony Garcia roster status changed by Gigantes de Carolina. June 16, 2014 Palm Beach Cardinals activated LF Anthony Garcia from the 7-day disabled list. May 17, 2014 Palm Beach Cardinals placed LF Anthony Garcia on the 7-day disabled list. March 15, 2014 OF Anthony Garcia assigned to St. Louis Cardinals. January 29, 2014 OF Anthony Garcia assigned to Puerto Rico. November 1, 2013 OF Anthony Garcia assigned to Gigantes de Carolina. August 22, 2013 Palm Beach Cardinals activated LF Anthony Garcia from the temporarily inactive list. August 16, 2013 Palm Beach Cardinals placed OF Anthony Garcia on the temporarily inactive list. July 25, 2013 Palm Beach Cardinals activated OF Anthony Garcia from the 7-day disabled list. July 17, 2013 Palm Beach Cardinals placed OF Anthony Garcia on the 7-day disabled list retroactive to July 16, 2013. June 22, 2013 Palm Beach Cardinals activated OF Anthony Garcia from the 7-day disabled list. June 21, 2013 Palm Beach Cardinals sent OF Anthony Garcia on a rehab assignment to GCL Cardinals. June 21, 2013 Anthony Garcia roster status changed by GCL Cardinals. June 10, 2013 Palm Beach Cardinals placed OF Anthony Garcia on the 7-day disabled list. April 3, 2013 OF Anthony Garcia assigned to Palm Beach Cardinals from Peoria Chiefs. March 8, 2013 OF Anthony Garcia assigned to St. Louis Cardinals. August 25, 2012 Quad Cities River Bandits placed OF Anthony Garcia on the 7-day disabled list. May 26, 2012 Quad Cities River Bandits activated OF Anthony Garcia from the 7-day disabled list. May 17, 2012 Quad Cities River Bandits placed OF Anthony Garcia on the 7-day disabled list. April 2, 2012 OF Anthony Garcia assigned to Quad Cities River Bandits from Johnson City Cardinals. August 26, 2010 Anthony Garcia assigned to Johnson City Cardinals from GCL Cardinals. November 11, 2009 RF Anthony Garcia assigned to Gigantes de Carolina. June 23, 2009 Anthony Garcia assigned to GCL Cardinals from St. Louis Cardinals. June 21, 2009 St. Louis Cardinals signed Anthony Garcia.